Planet Grapes has a opened a new branch in Cebu. It is their fourth branch in the country and the Ayala Center Cebu branch is the Planet Grapes outside Metro Manila. The shop/restaurant sells wines from all over the world from the Old World and the New World. 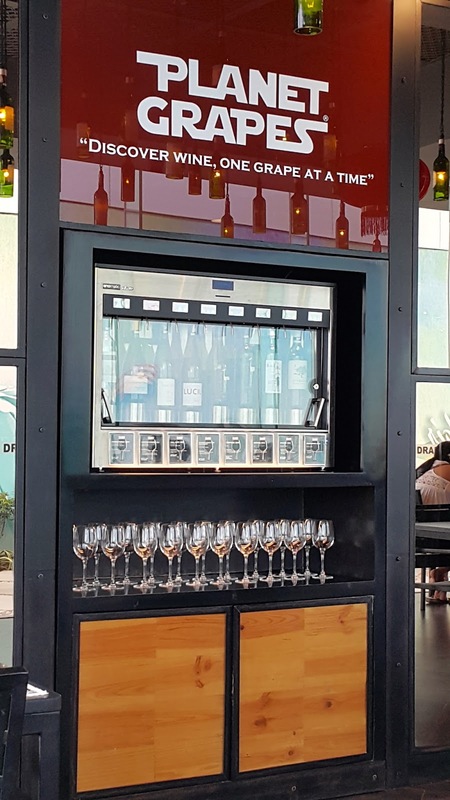 Wine lovers can buy wines by the bottle and they also feature some wines by the glass. Planet Grapes at Ayala Center Cebu is also a perfect place to drink some wine. They offer several dishes that can match the great wines that they have. The ambiance is great and it is so suitable for some celebratory business meeting or dinner dates like during the Valentine's Day. If you love wines, you have to check out this place at least once. This is a good place to buy wines in Cebu and it might be the cheapest but it is probably one chicest. Who is in Cebu? : Author James Frey!